Matt Wood handles business litigation and complex appeals. His practice focuses on disputes involving employment issues, real estate, intellectual property, and business contracts. His clients have included individuals, small and emerging businesses, developers, and Fortune 500 companies. 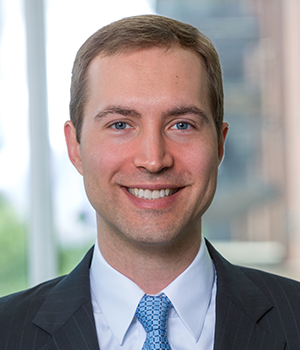 Prior to joining Weisbart Springer Hayes, Matt was an attorney at Baker Botts LLP. Matt has a passion for advocacy and believes that every client deserves a strong, clear voice in the courtroom. He approaches every dispute from a strategic perspective, working to understand his clients’ goals and develop cost-effective strategies for meeting them. He prizes client service and believes that attorneys should be trusted allies invested in their clients’ success. Defended businesses in employment lawsuits, including wage-and-hour class actions and discrimination cases, both in court and in arbitration. Represented real estate development and investment companies in disputes regarding entitlements, land use, and site development. Defended a national insurance company in a software licensing dispute with a mission-critical vendor. Represented a large chemical company in a trade secret theft case against a foreign competitor. Represented departing executives in severance negotiations and related contract disputes. Represented an international mining company in a multimillion-dollar appeal concerning mineral rights. Represented statewide trade associations in challenges to licensure regulations. Helped obtain a temporary injunction against a state agency threatening to impose penalties on a pharmaceutical company.